Bohdan was born in Lviv. He started to play the piano at the age of seven, in the Lviv music school named after Mykola Kolessa with Marko Svitlana. At the age of eleven he acted in Lviv Specialized School named after Solomiya Krushelnyts’ka in class of professor Oksana Rapita. Since 2015 Bohdan is winner of a many Ukrainian and International Competitions. 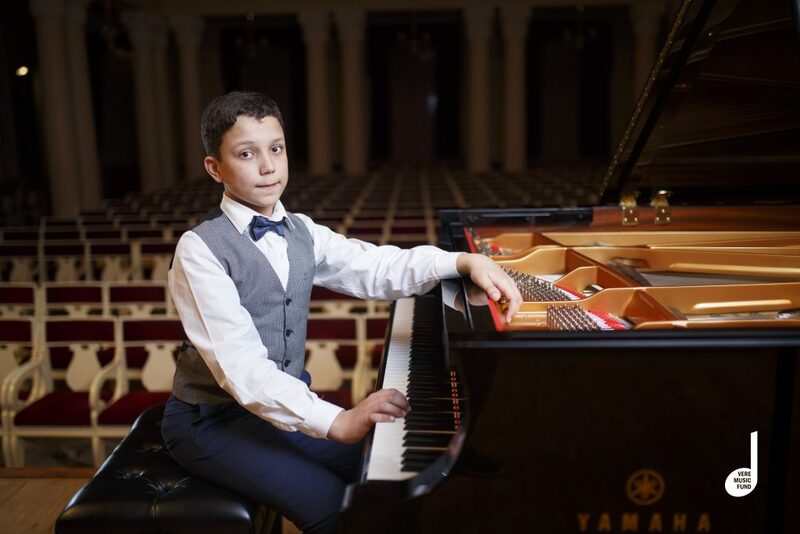 The latest achievements of Bohdan: are the first place, the Gold medal and the EMCY Prize at the International Competition for Young Pianists in Memory of Vladimir Horowitz and the first place at the International Competition for Young Pianists in Memory of Vladimir Krainev. Bohdan is a member of such festivals as «LvivMozArt» and «Opening of Paderewski». The favourite composers of Bohdan are Chopin, Rachmaninov, Beethoven, Mozart, Bach, Chaikovskyi, Grieg. If you are interested in working with Bohdan, please get in touch with the EMCY Office.